""Exciting News! Mr Fullerman announces that class 5F are going on an 'Activity Break'! Which should be fun. As long as I don't get stuck in a group with anyone who snores or worse still with . . . . . . Marcus Meldrew."" I'm in love with this book its a fun and very entertaining book to read. I would recommend this to all my cousins and family member to read. My favourite character is called Tom he is very good at drawing and writing diary entries. A funny book and if you’re a bit forgetful, you’ll be able to relate to the main character. I love this book because it is funny and the pictures are great. All of liz's books are amazing, i would totally recommend all of them! 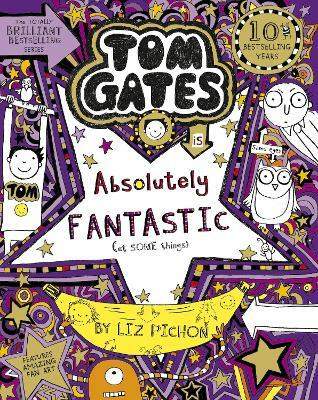 Tom Gates is my favourite character because he's funny. This time he went on an activity camp. I would definitely recommend it. I love this book. It is a great series however you should read the ones before this one to understand it better. Great book!